Veritas in NYC Reopens Today! 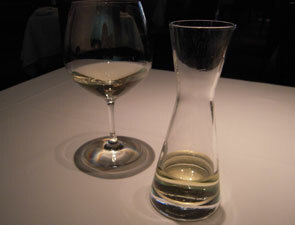 Veritas, beloved New York wine restaurant, will reopen November 30, 2010 with a fresh new approach. Under new owner and Executive Chef Sam Hazen, Veritas will serve contemporary American fare, offering softer priced à la carte and bar menus that will satisfy casual diners and serious wine lovers alike. Veritas’ unparalleled wine cellar, boasting more than 3,000 selections (and 75,000 bottles), is accompanied by a rotating market selection of wines under $100. “We literally want to open the vault,” explains Chef Hazen. With Veritas, Chef Hazen is returning to his roots and doing the kind of cooking he enjoys, in an intimate, elegant setting. Chef Hazen’s background includes such iconic restaurants as La Côte Basque and London’s Michelin three-star Le Gavroche, as well as critically acclaimed Cascabel and The Quilted Giraffe, among others. 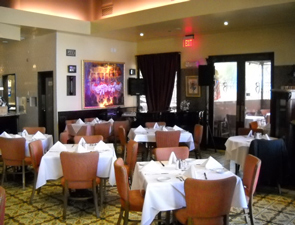 Hazen is more recently known for two of the biggest restaurant successes in the country: Tao New York and Tao Las Vegas. “I want people to come to Veritas and have great, accessible food prepared with top notch, quality ingredients,” says Chef Hazen. Focusing on every detail of a diner’s experience, he has sourced Vermont Creamery butter, tea from Serendipitea (including a Veritas blend), coffee from Kobricks, and bread from Sullivan Bakery, among others. In the kitchen are local produce from Union Square Greenmarket, meat from Debragga & Spitler and Niman Ranch. Whereas most restaurants design their wine lists to pair with the food, Chef Hazen was inspired by Veritas’ cellar when he created the new menu. The Ocean & Land, a brioche crusted lobster draped over roasted bone marrow has a richness that pairs exceptionally with a medium-bodied Burgundy. Beef In Transition showcases three different cuts, textures and cooking techniques: classic beef tartar, peppered sirloin with Cognac mustard, and short rib sliders, a trio that lends itself to a full-bodied Châteauneuf-du-Pape. Stuffed Squid is married with lemon jam, black olives and peppadew peppers, a balance of sweet and tart that perfectly match an aromatic, dry Riesling. At the bar, a selection of wine-friendly small plates and bar snacks are on hand, such as Duck Fat Fries, Chicken Livers, a decadent pâté made with Belle Rouge chicken livers and served with pickled Cipollini onions, and a Veritas Steak Tartare. 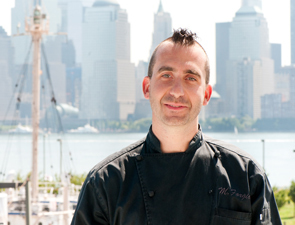 Alexander Williamson (Compass, Morimoto, Gramercy Tavern) is Chef de Cuisine. Pastry Chef Emily Wallendjack (Nougatine, Pierre Hermé, Cookshop) prepares seasonal desserts that mirror Chef Hazen’s comforting classics including an Heirloom Apple Crisp with cinnamon and crème fraîche ice cream, and a Goat’s Milk Panna Cotta with Port-glazed figs and local honey. Working with Veritas’ world-famous wine cellar, Head Sommelier Rubén Sanz Ramiro (The Monday Room, Public, The Fat Duck) and General Manager David Kravitz (Rue 57, Tao, The Venus Room) will organize special wine dinners with producers, centered around vertical tastings, or as an opportunity to open outstanding magnums. To complement the wine list, Kravitz has created a cocktail menu of classic libations. 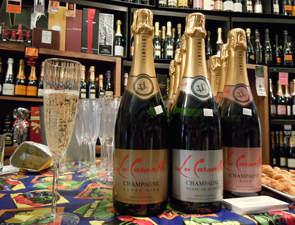 A small selection of local beers, amaros, cognacs and grappas is also available. Redesigned by crème design (Garces Trading Company, Rayuela, Komegashi), Veritas has been reconceived as a warm, elegant and inviting space. The restaurant features off-white brick and chalkboard-black walls accented with cork patchwork created by Julien Gardair. A hallway connecting the lively front bar and the intimate dining room is framed with walls of wine bottles, giving guests the impression of entering a cellar. Other elements include a communal table in the bar area, espresso-colored wood tables and softly lit pendant lights. Park B. Smith, the restaurant’s founder and partner will continue to make his extraordinary wine collection available for Veritas’ reserve list. Arthur Aidala, Esq., a prominent New York defense attorney, is also a partner. Veritas accommodates 10 guests at the bar (and 10 more at the bar’s communal table); 50 in the dining room. 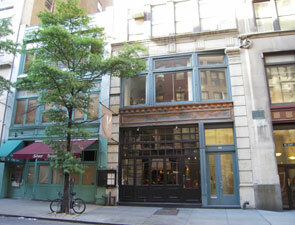 The restaurant is located at 43 E 20th Street, between Broadway and Park Avenue South. 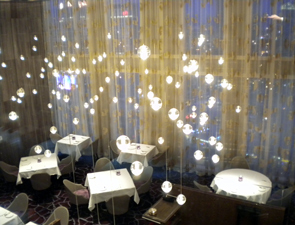 For reservations the public can call (212) 353-3700. Chef E. Bernard, owner and executive chef at Bernard’s Bistro, pays tribute to Frank Sinatra with a themed evening of elegance celebrating “Ol’ Blue Eyes.” Singer and pianist LeNae Huff will perform classic Sinatra favorites as guests enjoy a special five-course meal of signature items that the legend himself enjoyed. Reminiscent photos of Sinatra will be hung throughout the bistro and guests can enjoy footage from Sinatra live from Carnegie Hall in 1980. Menu items include tartelette with roasted onion confit and truffle amandine, smoked salmon roses with Belgian endives and onion caviar, flamed armaniac chateaubriand with Parisian potatoes, braised duck breast and rack of lamb with course mustard and tarragon, chestnut potato puree, chocolate soufflé with cream and chocolate sauce and espresso crème brulee. Seating is limited. 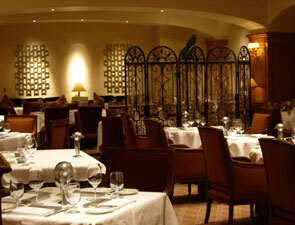 The five-course meal is $75 per person with a wine pairing option for an additional $40. Reservations are required as guests must pre-pay by credit card. Please call 702-565-1155 to make reservations. Cancellations must be made five days prior to dinner for full refund. It’s been three years today since we launched and we couldn’t do it without you - our loyal readers. Thank you for your wonderful support! You are the best audience any site could ever have. Have a wonderful weekend everyone! Happy Thanksgiving to Our Loyal Readers. Enjoy the Holiday! Enjoy the best of the season with Simon! At a recently opened Gramercy locale, food and drink prices are determined by market demand. That’s right-the more you buy, the higher the price and the less you buy, the lower the price. The Exchange Bar and Grill was opened in April 2010 by friends Levent Cakar, an economist with experience in the food industry, and Damon Bae, a former trader and real-estate mogul. The menu includes bar items like fried calamari and hot wings, but also boasts entrées such as salads, pastas, and meat. While this new hotspot might sound a bit gimmicky, the Exchange’s good deals, upscale atmosphere and tasty food have kept people coming back for more. The lounge features exposed brick, antique mirrors, trendy chandeliers, custom leather chairs, flat screen TV’s and a 35-foot red ticker tape situated above the bar that flashes an array of menu items and their current prices. Both drinks and eats fluctuate at 25 cent increments, within $2 of the item’s median cost. So, while a pint of beer may cost $6, guests can expect to pay anywhere from a low of $4 to a high of $8 for their brew, depending on popularity. Every once in awhile, a shrill bell sounds and the staff announces “the market is crashing!” But unlike the real deal, a market crash here shouldn’t cause alarm. During a crash, all drinks are priced at just $2-$4. The Exchange Bar and Grill just might be the only place where it’s okay to celebrate a market crash. TravelsinTaste.com: If you remember the old commercials for the Super Bowl, the winners all go to Disney World. Now that you’ve won, where will you go? Forgione: It’s funny, a lot of people have been saying to me in my restaurant, “I can’t believe you’re actually here.” I think people sometimes forget that even though I’m the winner of this, at the end of the day I’m still the chef of my restaurant, first and foremost. Being an Iron Chef is icing on the cake. We’ve already got busier because of the TV show and because of The New York Times review. 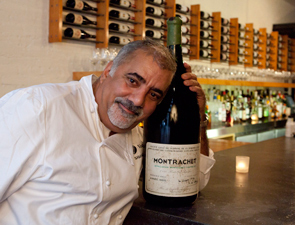 The short answer is: I’m going to be here, at my restaurant, the way I had always dreamed it would be. Enjoy the spectacular experience of Twist by Pierre Gagnaire for the highest level of dining in Las Vegas this Thanksgiving. Our extraordinary five-course menu will delight the senses with the familiarity of classic traditions and the modern twist of legendary chef Pierre Gagnaire and Chef de Cuisine Pascal Sanchez. 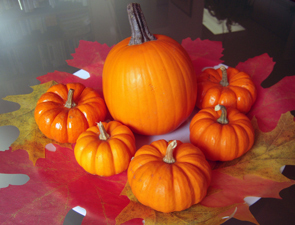 Our Thanksgiving prix-fixe menu is USD 145 per person. 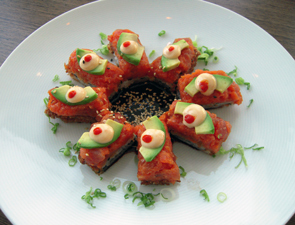 For reservations, please visit opentable.com or call +1 (888) 881 9367. This Thanksgiving, you’ll savor juniper-apple roasted turkey with all the fixings at MOzen Bistro. Enjoy our bountiful Thanksgiving brunch menu from 11am to 3pm for USD 65 per adult, half price for children ages 6-12, and complimentary for children under 6. From 3pm onwards, guests can enjoy our a la carte menu, as well as a special Thanksgiving Dish for USD 35 per person. For reservations, please visit opentable.com or call +1 (888) 881 9367. Experience the gourmet delights of Mandarin Oriental, Las Vegas in the comfort of home this holiday season with our exceptional “Catering-to-Go” offer. Choose from an array of traditional menus, from whole roasted turkey to 7-bone prime rib, with dazzling accompaniments that will bring the joy of the festive season right to your table. Download the Catering-to-Go Menu. For orders, please call +1 (888) 881 9367 or email molas-fbresv@mohg.com. Available for pick up from November 25 through December 25, orders must be placed 48 hours in advance. *Please note that these are the most recent Special Event menus from the restaurants featured on TravelsinTaste.com. The restaurants featured at TravelsinTaste.com may have changed their personnel, menu, pricing, decor, hours of operation, etc., since our last visit. The competitive and creative nature of the fine dining scene virtually assures that changes will occur on a frequent basis in order to make diners happier, meals more pleasurable and visits more frequent. Given their frequent fluctuations, most restaurants welcome inquiries about their current hours, menu and more. 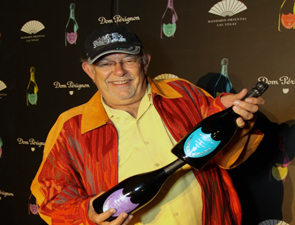 Mandarin Oriental, Las Vegas and Dom Pérignon joined together on November 10, 2010 in the chic 23rd floor Mandarin Bar to host the Las Vegas launch of A Tribute to Andy Warhol 2000 vintage by Dom Pérignon. Mandarin Oriental, Las Vegas Executive Chef Shawn Armstrong created hors d’oeuvres including tomato soup breadsticks with parmesan marshmallows served in Campbell’s soup cans, inspired by Andy Warhol’s unconventional representation of icons. The colorful artistic label on the bottles of Dom Pérignon was commissioned by the Design Laboratory at Central Saint Martin’s School of Art & Design. 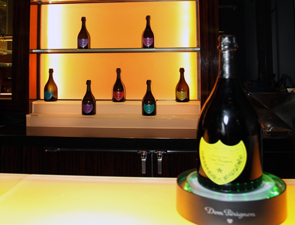 This eloquent soiree was attended by an array of Vegas socialites, media and prominent Dom Pérignon guests, including E! Channel’s Holly’s World co-stars Laura Croft and Josh Strickland, celebrated interior designer Colin Cowie, and Cosmopolitan Las Vegas CEO, John Unwin.